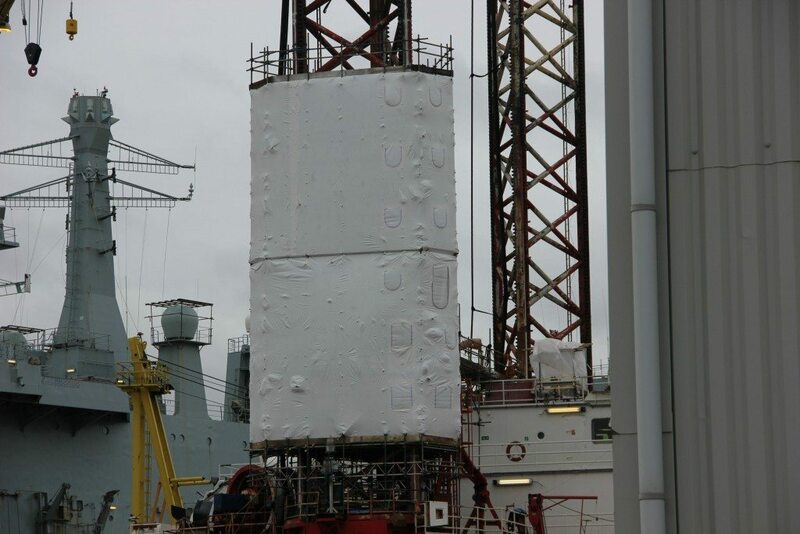 Shrink wrap encapsulation and containment system for both the onshore and offshore oil and gas industry to enable large scale weather protection & environmental containment of fabric maintenance work in tough environments. Rhino Wrap supply and/or install flame safe shrink wrap that is used to create robust temporary enclosures or habitats which allow repair and maintenance activities to be completed on schedule. Because shrink wrap is pulled ‘drum tight’, it will not flap and self destruct in high winds and because sheets are easily joined and sealed, there is no restriction on the size and shape of the area to be encapsulated. Shrink wrap can also be used for protecting assets that need to be stored outside. For more information on this application see our applications guide to large industrial protective covers. A complete seal for 100% weather protection and environmental containment. Safer work environment for personnel. Versatile - Because it is a shrink to fit solution, which is cut and welded ‘in situ’ there is no restriction on the size and shape of the scaffolding structure. Extremely robust, large scale solution for fabric maintenance work. Rapid completion of projects without bad weather delays. Using a Rhino shrink wrap industrial enclosure creates a sealed working environment which means that the weather doesn’t get in and contaminants don’t get out. Shrink wrap is normally applied around a scaffolding structure but other techniques are possible. Rhino shrink wrap can be used in-line with industrial air conditioners or heaters to provide controlled work areas. 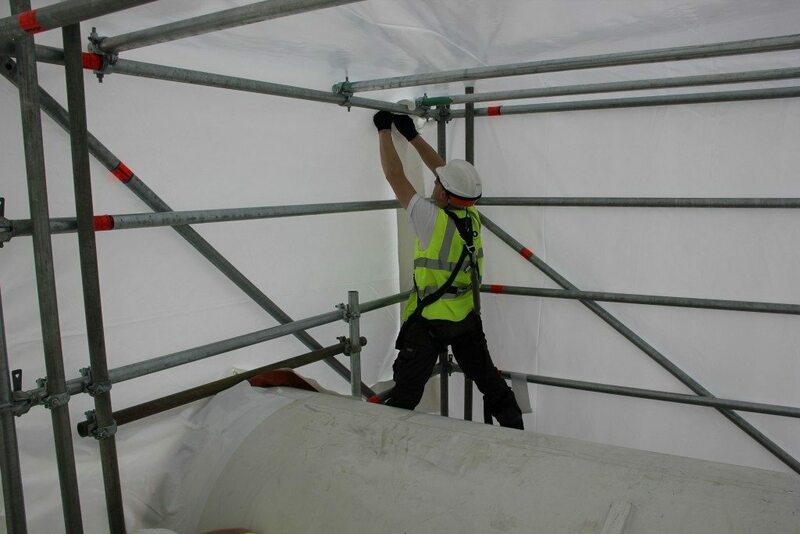 Because Rhino shrink wrap can be used with cold work or no heat construction methods it can be erected in hazardous areas with no disruption to production. A Rhino shrink wrap industrial enclosure does not look like any other type of temporary sheeting. The smooth white finish looks smart and professional and because it fits ‘drum tight’, it is extremely resistant to high winds. Rhino shrink wrap is ideal for those encapsulation and containment applications where the highest level of integrity is required. 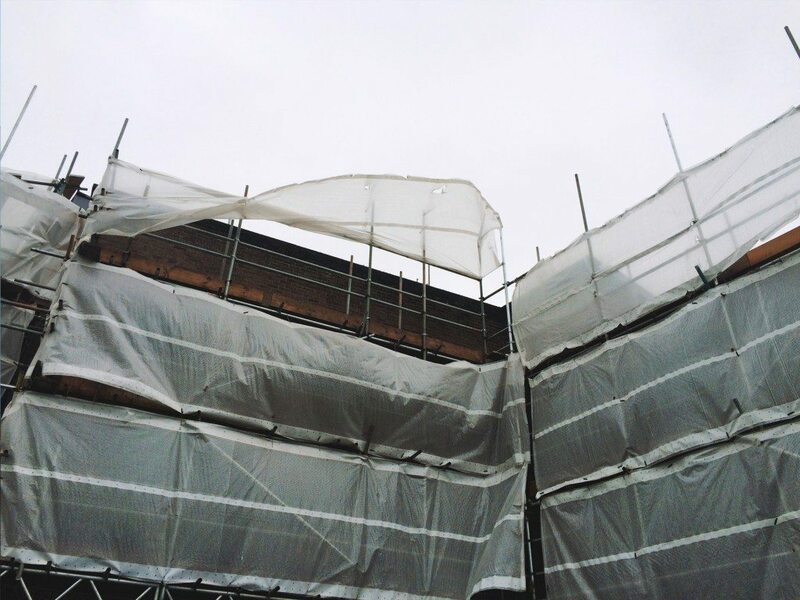 Choose a scaffold wrap film that has been engineered specifically for use on scaffolding. You need a shrink wrap film that welds / joins strongly (and stays welded) and that shrinks powerfully so that the sheeting is tensioned ‘drum tight’. Ask your supplier for a data sheet and pay particular attention to the mechanical characteristics of the film and the shrink ratio. For an in depth buyers guide to shrink wrap sheeting click here. Dow Netherlands required16 separate confinements, with about 4500m2 of shrink wrap sheeting in total. Each containment had to be constructed to allow a negative pressure environment to be created for the safe removal of asbestos. 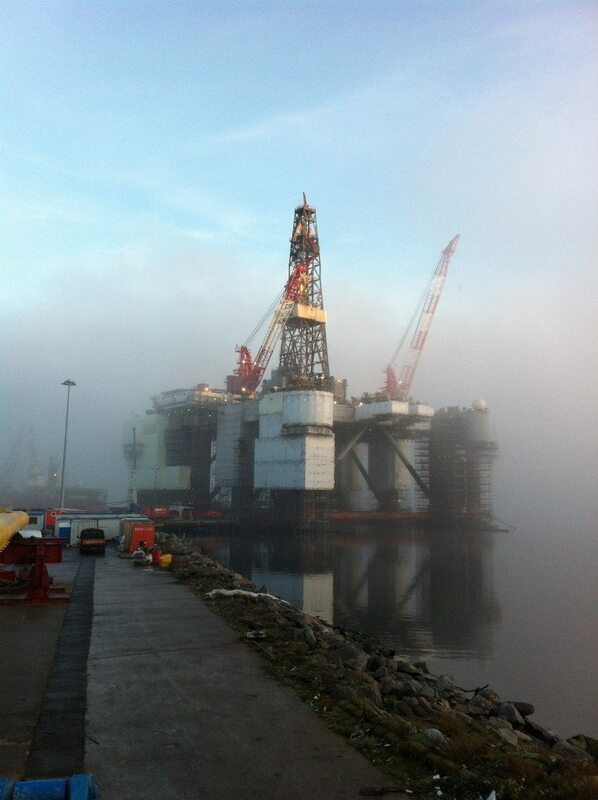 The 16 shrink wrap containments were all installed in one week prior to shut down. Although high wind speeds were experienced during the project, no damage occurred, and the schedule was unaffected. At the Total refinery Belgium, the encapsulation of 5 reactors, each up to 70m height was required prior to shutdown. 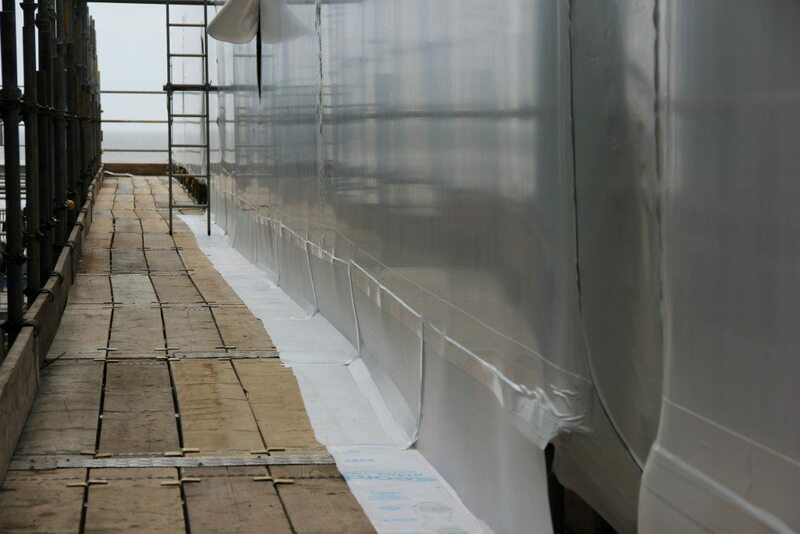 In total, over 8000m2 of shrink wrap sheeting was supplied and installed. Based in the Scottish Highlands, Isleburn is one of the UK’s largest manufacturers of equipment for the international energy industry. They contacted us to shrink wrap and encapsulate a120m long x 1m diameter caisson to be for protection against the elements during a period of storage before a final move to the installation location. 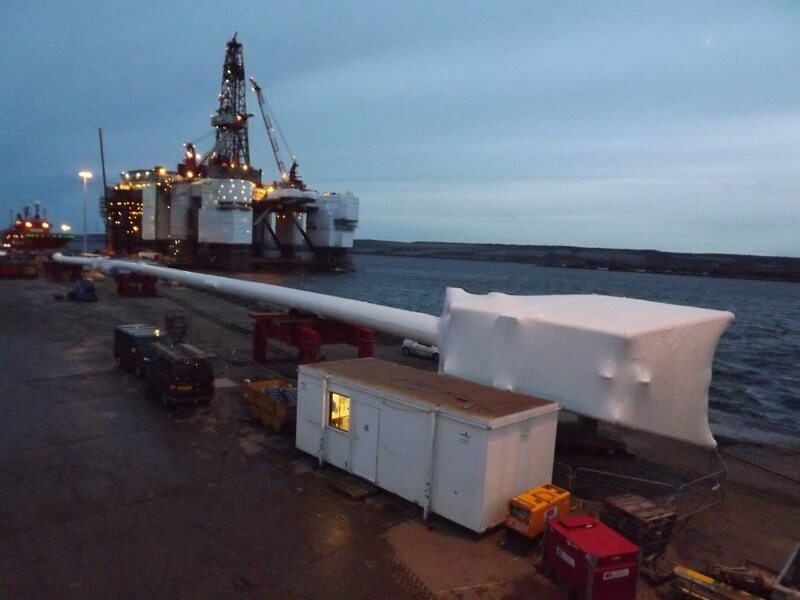 The caisson required 10 rolls of our 300µm thick 7m x 15m shrink wrap and took a 4 man team 2 days to fully encapsulate. Shortly after completion a storm with winds in excess of 100mph hit the area. Because of the shrink tight fit, only minor repairs to the shrink wrap cover were required. Looking for a flameless or ‘no heat’ shrink wrap solution? click here for more information. Is it possible to undertake shrink wrapping without using a hot air gun?